Here's How to Deal With Panic Attacks! - Something New Everyday! Home happiness Stress Here's How to Deal With Panic Attacks! Here's How to Deal With Panic Attacks! A panic attack is a sudden feeling of intense anxiety, which may also be accompanied by a number of intense physical symptoms, including nausea, disorientation, shaking, an irregular heartbeat, dizziness, sweating, restlessness, tingling fingers, ringing in your ears, and shortness of breath. These symptoms aren't typically dangerous but can be absolutely terrifying to experience, especially if you've never had a panic attack before. They can make you feel as though you're having a heart attack, and may last anywhere from a few minutes to half an hour. The symptoms described above tend to kick in when your body enters 'fight or flight' mode, as the result of a distressing physical or psychological stimulus. Your rate of breathing speeds up as your body tries to increase its oxygen intake. This causes a number of hormones to be released, such as adrenaline, making your muscles tense up and your heart beat faster. How Should I Handle a Panic Attack? 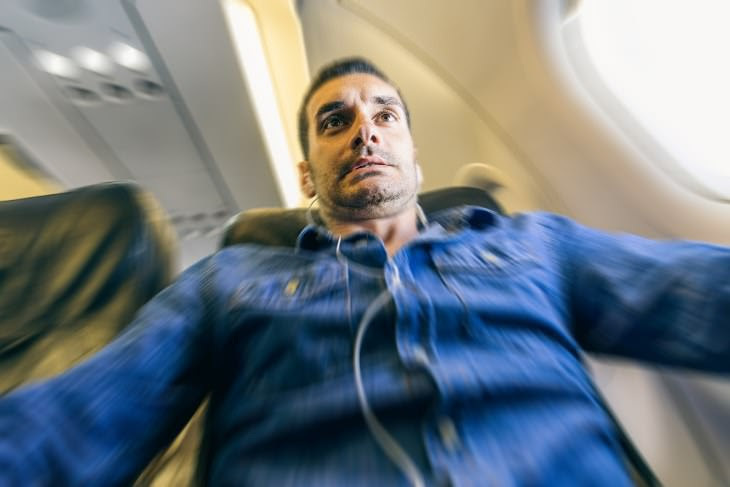 Professor of Clinical Psychology and Applied Science at the University of Bath, Paul Salkovskis, says that it's very important not to allow your fear of panic attacks to take over. "Panic attacks always pass and the symptoms are not a sign of anything harmful happening," he says. "Tell yourself that the symptoms you're experiencing are caused by anxiety." He points out that during a panic attack, one should avoid looking for distractions, but to ride out the attack instead. "Try to keep doing things. If possible, don't leave the situation until the anxiety has subsided. Confront your fear. If you don't run away from it, you're giving yourself a chance to discover that nothing's going to happen." Once the anxiety begins to subside, you should focus on your surroundings, and carry on with whatever you were doing before the attack began. "If you’re having a short, sudden panic attack, it can be helpful to have someone with you, reassuring you that it will pass and the symptoms are nothing to worry about," says Professor Salkovskis. 1. Breathe in through your nose, as gently, slowly, and deeply as possible. 2. Breathe out through your mouth, gently, slowly, and deeply. 3. While breathing in and out, you may find it useful to count from one to five for each inhalation or exhalation. 4. Close your eyes, and simply focus on your breathing. After practicing this for a few minutes, you should begin to feel better. However, it's perfectly normal to feel a bit fatigued afterward. In order to try and prevent panic attacks from occurring, Professor Salkovskis says that "you need to try to work out what particular stress you might be under that could make your symptoms worse," but that "it's important not to restrict your movements and daily activities." • Doing breathing exercises or practicing meditation on a daily basis. • Eating regular meals to help stabilize your blood sugar levels. • Exercising regularly to help you manage stress, boost your confidence, release tension, and boost your mood. • Avoid smoking, alcohol, and caffeine, since these can aggravate your symptoms. • Cognitive Behavioral Therapy (CBT) can get to the root of your problem and can alter the negative thought patterns that are fueling your attacks. • Joining a panic support group can also be very helpful and reassuring. While frightening, panic attacks are typically relatively harmless. However, for more severe cases, it would be a good idea to get a professional opinion. • You feel unwell after your breathing returns to normal. • Your panic attack still hasn't subsided after 20 whole minutes of controlled breathing exercises. • You still have an irregular or rapid heartbeat or chest pains after the attack subsides. • Your panic attacks become a regular occurrence.